Hi! I’m Alyssa Friedley and this is my sophomore year at KHS. I am the second oldest of five brothers and have four pets. Some things I enjoy include animals, science, reading, and writing. During the summer I enjoy vacationing to Florida and South Carolina and spending time with family. 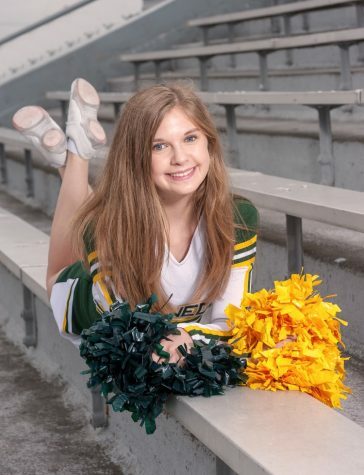 My freshman year I started cheering for Kennedy High School and am continuing that this year. Outside of school I participate in dance and gymnastics, although I am currently not competing it’s a fun way to pass time and hangout with friends. I can’t wait to have a great time writing for The Torch!